Are you guys watching Nicole Richie’s show, Candidly Nicole, on VH1? It’s pretty fabulous. This is one of those recipes that is so good, I’m mad I didn’t think of it myself! Check out Honestly Yum’s Savory Bacon Granola. New research suggests that having a sense of direction in life may impact longevity, with people who feel they have a purpose in life living longer. Get ready for some mind bending optical illusions with the photos in article: This Object Doesn’t Really Exist. 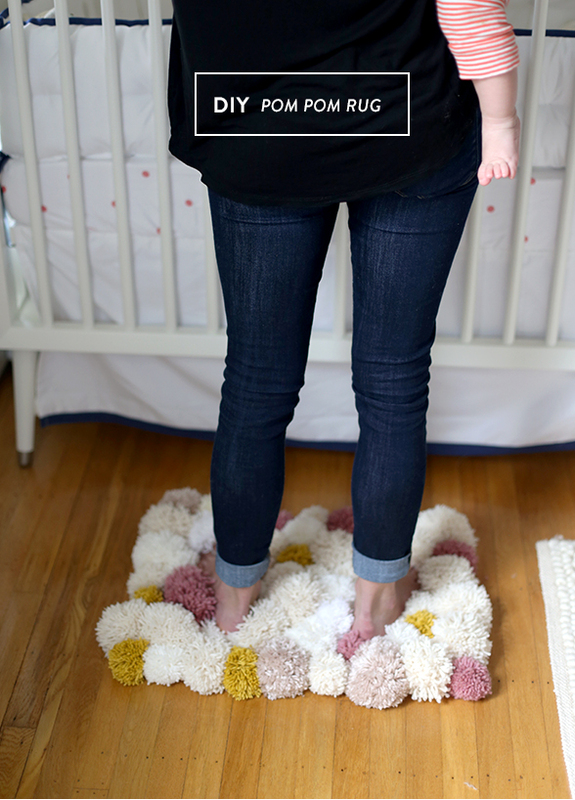 How insanely cute is this DIY Bedside Pom Pom Rug from Say Yes? I’m obsessed with the color palette. Planet Money reports on buying generic versus premium/name brands – specifically when chefs buy generic food items and when doctors buy generic medicine (and when each group splurges for premium brands). A super interesting read and great infographic!